Hopefully we'll see some of the upgrades on PC. 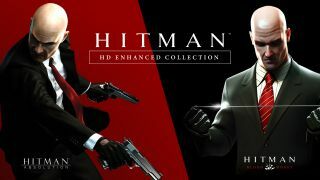 Update: Publisher Warner Bros. Interactive confirmed that the Hitman HD Enhanced Collection will only be available on PS4 and Xbox One and had nothing to add about a possible PC release. Original story: I’m up to my neck in assassination contracts thanks to Hitman 2, but IO Interactive reckons there’s room for more Hitman in our lives. The developer announced Hitman HD Enhanced Collection today, remastering the excellent Hitman: Blood Money and its disappointing sequel, Absolution. The collection is out next week, on January 11, but only on consoles. There’s no word on a PC version. The remasters will feature 4K at 60fps, improved textures, super-sampling, upscale support, enhanced shadows and lighting, and updated controls, which all sounds like something that would be quite nice on PC. While it’s already possible to play Blood Money and Absolution in 4K at 60fps on PC, the other improvements would also be welcome. Not that I’m raring to ditch Hitman 2 for Absolution, but I’d be glad to have an excuse to play Blood Money again. And you never know, maybe Andy's right and Hitman: Absolution isn't as bad as I remember. I’ve contacted IO Interactive to see if there are any plans for a PC release.